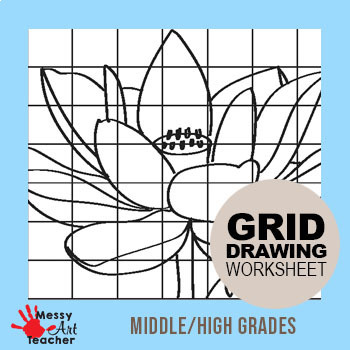 This is a worksheet that helps students understand the concept of how to reproduce an image using the grid drawing method. This is a great lesson for sub days or to incorporate into a lesson related to drawing and proportion. This is a good tie in with Georgia O'Keeffe. 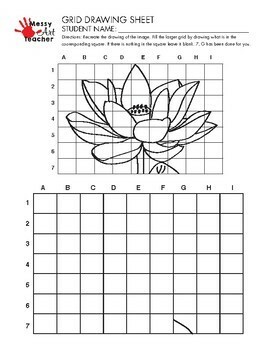 This PDF contains a worksheet for students to draw Lotus Flower.